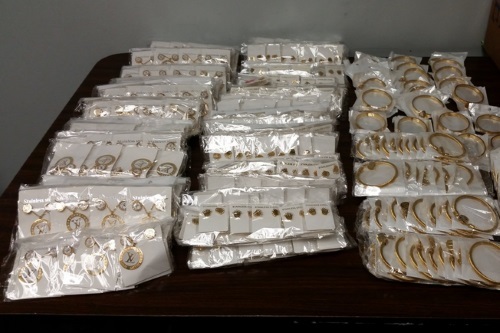 Counterfeit copies of top designer jewelry worth almost $3m have been seized by US customs in Indianapolis. On May 31, Customs and Border Protection (CBP) officers conducting express consignment operations in Indianapolis seized over 1,900 pieces of counterfeit Tiffany, Cartier, Bvlgari, Louis Vuitton, Rolex, and Tous jewelry. The counterfeits - with an estimated manufacturer’s suggested retail price (MSRP) of $2.99m - were discovered in a shipment from China en route to Texas. Watches and jewelry accounted for 10% of the 28,865 seizures made by CBP last year - the fourth most common product category - but topped the rankings by value accounting for $531m out of a total $1.35bn, according to the agency's recently-published annual report.